My 2018 Businessperson of the Year is Herbert Wigwe. Mr. Wigwe is currently the CEO and Group Managing Director of Access Bank plc, a leading banking institution in Nigeria. Wigwe has a degree in accountancy from the University of Nigeria, an MA in Banking and Finance from the University College of North Wales (now Bangor), an MSc in Financial Economics from the University of London,and is an Alumnus of the Harvard Business School Executive Management Program. In Q4 2018, Access Bank acquired Diamond Bank, transforming Access Bank (post-deal closure) to become the largest bank in Nigeria, by asset. For orchestrating that deal, after assimilation of a defunct bank (Intercontinental Bank Plc), Access Bank is sending a clear signal to South Africa that Nigeria will play hard in Africa. 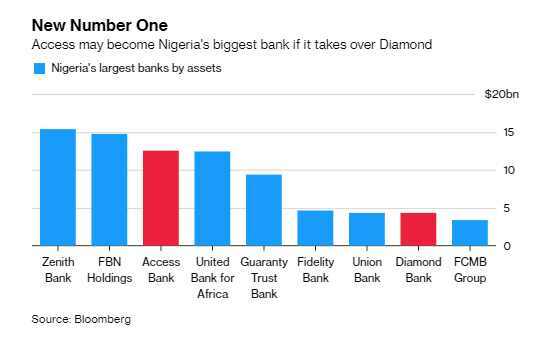 Nigeria’s Access Bank Plc agreed to take over struggling local rival Diamond Bank Plc in a deal worth about $200 million that would create the nation’s biggest lender by assets. Both companies’ shares rose. 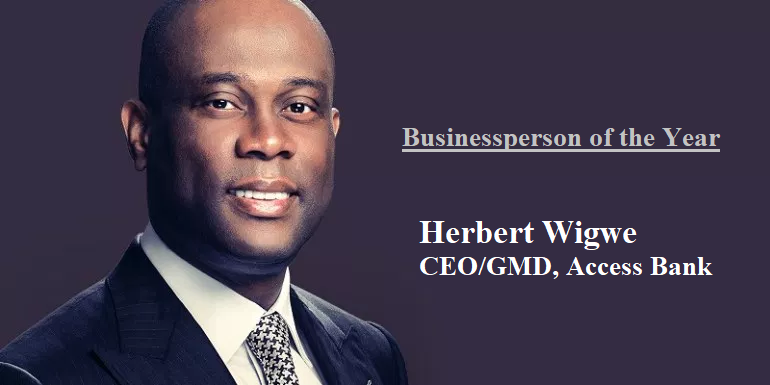 For that bravado and vision, knowing that in a digital banking future, marginal cost is everything, and scale improves competitiveness, I have chosen Herbert Wigwe as my Businessperson of the Year. Future banking would have duality element (offer products via platforms) and that means a bank with more customers would have huge advantages; Access Bank is building for that future. The unconstrained and unbounded nativity of internet will catch up with current banking architecture, triggering winner-takes-all with dislocations across markets. Yes, just as telecom firms are imperiled across Africa, leaving big ones where one tree can become a forest, banking will follow that trajectory. Access Bank wants scale and Mr. Wigwe shopped well. This scale will enable it to serve customers at eventual low margin – a low margin facilitated by the impending disintermediation from fintech. The bank wants customers; in Diamond Bank, Access Bank bought new customers.